In a large skillet or wok, heat a few tablespoons of olive oil. Add about 5-8 cloves of finely chopped garlic. 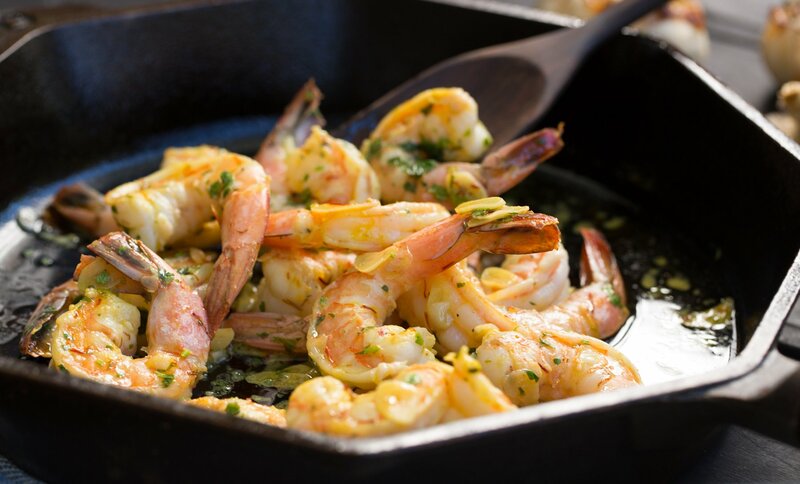 When the garlic starts to sizzle and imparts its flavor, add the shrimp. Feel free to add some finely chopped jalapeno chili for some heat if you like, or a ½ a glass of white wine. You can also add a pinch of saffron threads. Once the shrimp are cooked through (they will turn pink all over), serve immediately, piping hot. Feel like adding a squeeze of lemon, a dash of flake salt or a handful of chopped herbs? Go for it!